We looked at the top 1 Digital Photo Frames and dug through the reviews from 2 of the most popular review sites including BestReviews, Chicago Tribune and more. Through this analysis, we've determined the best Digital Photo Frame you should buy. In our analysis of 76 expert reviews, the Pandigital Pandigital Panimage LED Digital Picture Frame placed 8th when we looked at the top 8 products in the category. For the full ranking, see below. It has a good amount of internal memory for its low price. The bright screen makes every photo pop. Display, alarm clock feature, calendar and timer features are useless unless you keep power to the frame at all times. Smaller frame than competitors. At seven inches, this frame is smaller than other options. 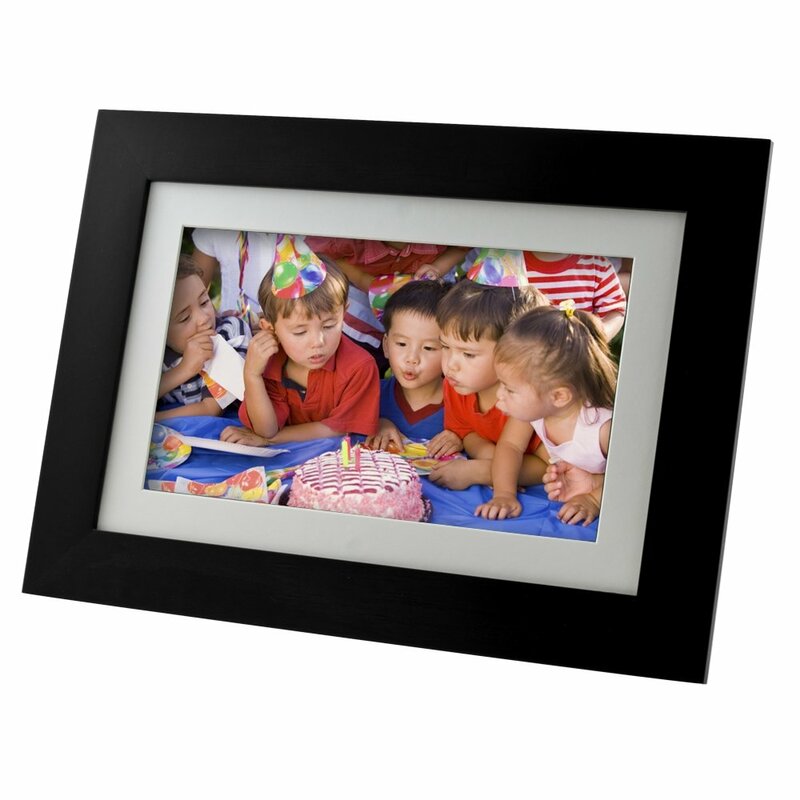 The Panimage PI7002AWB 7 inch LED Digital Photo Frame is plug and play for fast, easy transfer and display of your digital photos. No software is needed, just use a USB cable (not included) to connect the frame to your pc and start dropping and dragging directly to the frame's internal memory. Alternatively, you can transfer photos and video from your memory card or digital camera. Store up to 2000 compressed images on the 256MB of internal memory. The built in 5 in 1 card reader recognizes xD/MMC/SD/MSPro/MS formats. To begin a slideshow, simply insert your memory card, and enjoy. The viewing aspect ratio is a generous 16:9, and the 480x234 resolution LCD panel within a black wooden frame blends with any decor.